Why Service Design Thinking is the podcast that helps business do things better and do better things. 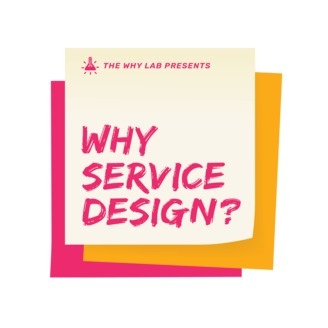 Service design is one of the next big competitive advantages in business and it is being used with great success by corporations and other large organizations around the world. But how can a smaller business, a startup, or a nonprofit adopt these innovative techniques? We talk with experts in the field and share lots of case studies on how you can engage your customers, create delightful experiences, and build a lasting legacy. Don’t forget to listen until the very end, for this week’s design challenge. Hosted by: Marina Terteryan Want to keep in touch? 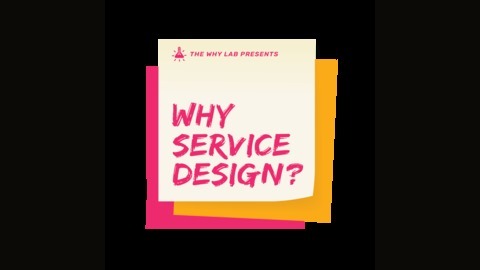 Sign up for the mailing list at www.whyservicedesignthinking.com for access to useful freebies and bonus resources that won’t be available anywhere else. Like what you hear? Please subscribe, rate, and review us! Claus Raasted is an experience and behavior designer who creates Live Action Role Play (LARP) events, where groups of strangers come together to collaborate on co-creating their shared experience. This is especially relevant when facilitating the design process with groups of people who are not used to working together (such as different divisions, company partners, or even community members). We discuss how to help a group of collaborators become comfortable enough as a team to co-create something great. Check out the show notes for all references and links. Feedback loops are crucial in service design! Love what you hear? Please subscribe, rate, and review us. Each review goes a long way.